In the middle of spring, our senses see a plethora of beautiful colors, as they smell the lovely aromas and hear the music of bees buzzing in the air. 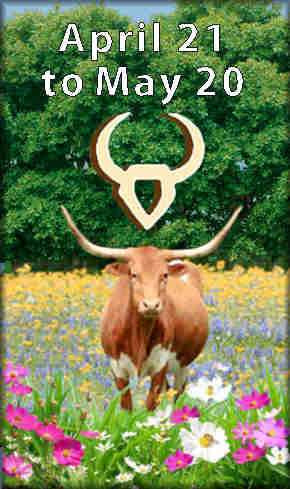 Planted contentedly on Mother Earth, our Taurus friends are highly attracted to and aroused by these sensual delights. So are the rest of us! This sensual input gives many individuals the ability to comprehend the material in their surroundings—so that they can build the new physical forms that will enrich their sense of personal worth. We see why some of these bovine-like souls are so stubbornly possessive and unable to let go of their physical attachments. Inspired by the clarity of Aries, our Taurus friends see their physical world in its purest form. It is what it is! Therefore, when these Taurus Sun energies dominate, there is an urge to slow down, cherish the moments and relish the pleasures of life. So, if your energies are scattered in all directions, this is the time to slow down, smell the roses—and sense the beauty of Nature with a Taurus friend! Taurus rules the neck, throat and shoulders. These shoulders lean to the front, as these creatures slowly plod through their pastures of pleasure. These heavy shoulders bow the legs and plant the feet firmly in the ground. Furthermore, this concentration of force in the throat gives many of these creatures deep and rich voices. Venus is the ruling planet of Taurus. Its’ movement through the feminine signs seems to regulate the nature of our raw, sensual abilities—how we see, hear, touch and smell. In its’ co-ruler masculine sign of Libra, our Venusian senses tend to expand—as they join with the mind to build artful creations of beauty, and those things that enrich our lives. Venus is also Carl Jung’s Anima, the feminine appeal that attracts others to an individual. The five celebrities pictured here all show the qualities of their Taurus Suns, as they anchor themselves in the fixed Earth of middle Spring. Note the cubical foreheads, the cowlicks in the hair, the fixed eyebrows, the bovine eyes, the wide nostrils and how the full lips are seated firmly on the square jaw. These bovine qualities appear in most Tauruses, but they are altered by the other components in their charts, including the placement of Venus, the ruling planet of their Suns. Daniel Day Lewis’ Venus conjoins his Taurus Sun and Moon. Emotionally, sensually and aesthetically, he is the most grounded of this group. Venus in Fixed Earth gives him a gift for performing powerful, reality-oriented roles. Kirsten Dunst has a Leo Moon and Ascendant. You’d think that with all this fire, she would be far more dynamic in her creative expressions. 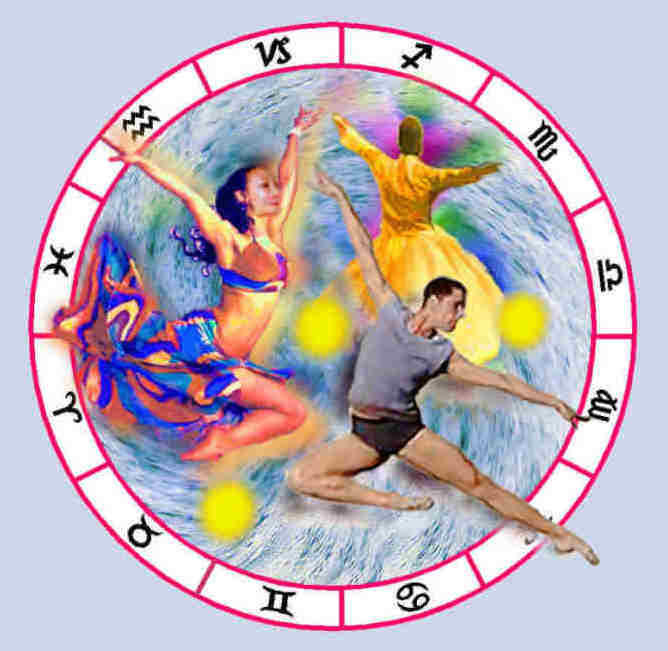 However, with a Venus in watery Pisces, we see a dreamy Taurus, who she seems stirred by other forces beyond her control. It’s not what we’d expect from a triple fixed sign. Jack Nicholson also has Leo Rising. However, his Venus is in Aries and his Mars is in Sagittarius. These red flags of fire run strong, as they arouse the temper of this restless Bull. As we saw in Five Easy Pieces and As Good As It Gets, Jack’s Virgo Moon accounts for his tendency to be nick picky and emotionally critical. George Carlin is another Leo Rising with his Venus in Aries, and like Nicholson, his Mars is also in Sagittarius. However, his Venus squares Jupiter and Pluto, as it sextiles his mercuric Gemini Moon. 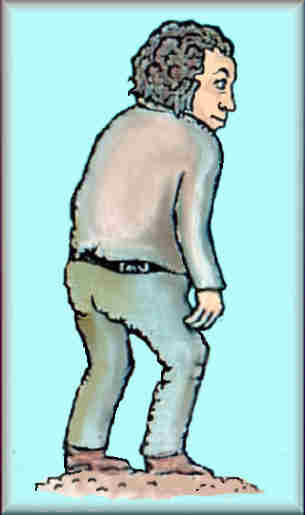 Few Tauruses are this animated, verbose and clever with words. Uma Thurman‘s Venus in airy Gemini trines Uranus and her Moon in Aquarius. Her actions and reactions seem to be driven by turbulent currents of air that often generate unexpected electrical shocks. Furthermore, Mars conjoins her Venus and this gives her the aggressive, warrior qualities that we saw in her Kill Bill movies. All of these electrical impulses are meticulously presented—outward through her mercuric Virgo Ascendant. This is the time to relish the substance on this Earth. When the Sun enters Gemini on the 21st, the minds of many individuals will become extremely active as they attempt to sort this sensual input—and begin the generation of new ideas! In late October, when the Sun enters its’ opposite point in the Zodiac wheel (in the sign of Scorpio), individuals will learn to trust their deeper feelings, so the worthless trash and unneeded Taurus possessions can be eliminated. One can then hold on to the meaningful resources that will sustain and perpetuate one’s progression through life.